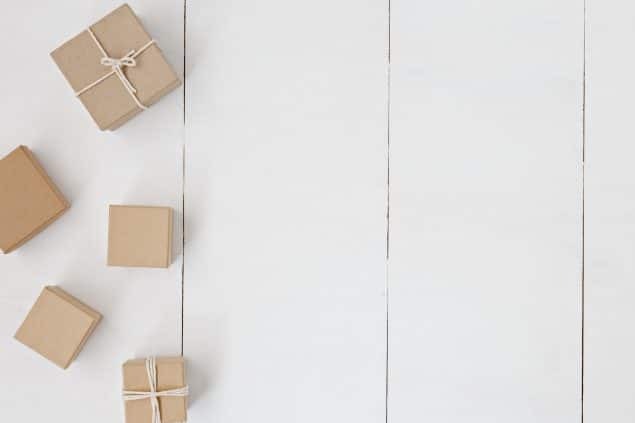 Are you finding yourself spending a lot of time and money on gifts for birthday parties, holidays, retirements, baby showers, weddings, homecomings, and more? While visiting a great friend several years back, she mentioned to me that she keeps a gift closet for those special occasions when she needs a gift but doesn’t have the time to head out to find one. I started my own gift closet at home and have enjoyed stocking it up and using it during those times I need a quick gift idea! The majority of gifts that I buy are mainly toys and gifts for children that I find on the clearance shelves in the stores or online. We usually have several birthday parties to go to throughout the year, so keeping a well stocked gift closet comes in handy when I need to quickly find a gift! Keep reading to see how you can create your own gift closet or space for gifts. 1. Designate a space for gifts. Find a space in your home that you can place a variety of gifts in. It doesn’t have to be an entire closet. It can be one or two shelves designated for gifts. If you don’t have a closet, use an empty cabinet or even a hideaway tub that can slide under your bed! There are several ways that you can get creative with your gift space. When shopping throughout the year, snag clearance items in store or online that you think will be a great addition to your gift area for special occasions that you may have coming up. If you like to shop at thrift stores, snag new, unopened items at a super low price and place those in your gift area. Re-gifting is also an option. If someone gives you something that you know you won’t use, re-gift the item. Just make sure you know who gave it to you so that you don’t give their gift back to them in the future! Stock up your closet or space with gift bags, wrapping paper, tape, tissue paper, cards, and more as well and you’ll have everything ready to go when you need the perfect gift for someone special! I find the majority of my gift supplies at Dollar Tree. Do you have an area at home designated for gifts or other ideas for saving money on gifts? Let us know about it. Leave a comment! Read 7 Ways to Save on Gifts this Holiday Season. Hi! I'm here from KCT and am a new follower! Love the gift idea, I am totally going to do that. It would be great for Christmas. Now I am going to go score some free post its! For the last 25 years I have kept a bin in the garage for random finds. When my kids were small it was always locked even though I kept their special gifts in the trunk of my car. They loved raiding the “present box” for birthday gifts. The box was kept smelling fresh with dryer sheets and sachet packets. My Gram has always had one of these and I have recently started my own. Although right now it’s more of a tub but hey I gotta start somewhere. This is a super fantastic idea for anyone. I also make a lot of handmade gifts and this is going to help me get those projects done and stored safely with time to spare. Thanks for putting great info out there but I have to give the credit for this one to my Gram. :o) Keep doing a fabulous job and thanks for everything!